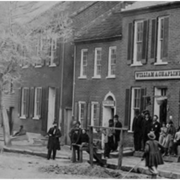 Historic Shepherdstown is partnering with the the Historic Landmarks Commission to host a public event celebrating the historic places in Shepherdstown. 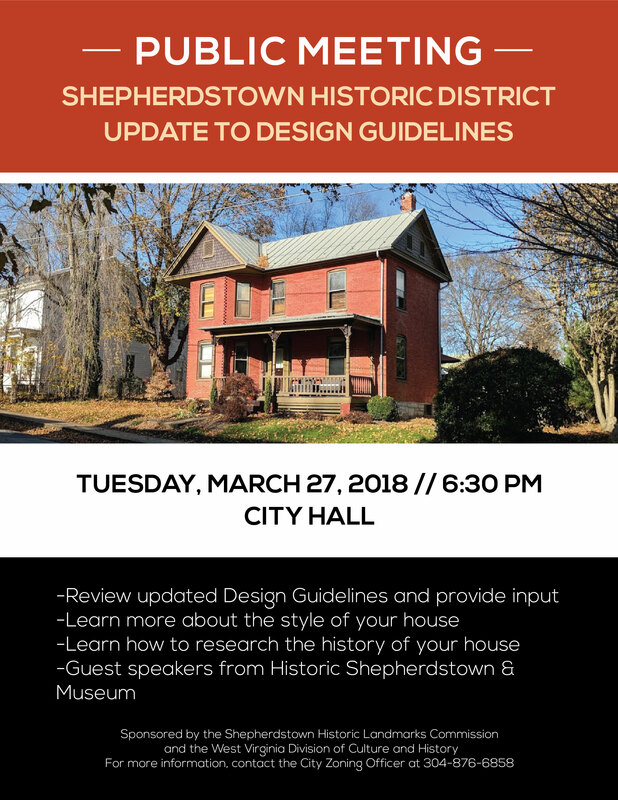 The public is invited to lend their input to the new Shepherdstown Historic District Guidelines, recently revised by the Mills Group (http://millsgrouponline.com/) a firm specializing in planning historic preservation for communities. Experts will be on hand to answer questions about renovating historic properties and identifying your house style, and we’ll be happy to offer advice on how to research your home’s history. Join us on Tuesday, March 27 between 6:30 – 8:00 pm at Shepherdstown Town Hall. Join the community as we celebrate what makes Shepherdstown unique! View the Historic Landmarks Commission flyer here.